Jaclyn Johnson is the definition of a girlboss. She’s the founder and CEO of Create & Cultivate, a career-focused conference for millenial women. With a wildly successful business under her belt, it’s safe to say she knows a thing or two about entrepreneurship. 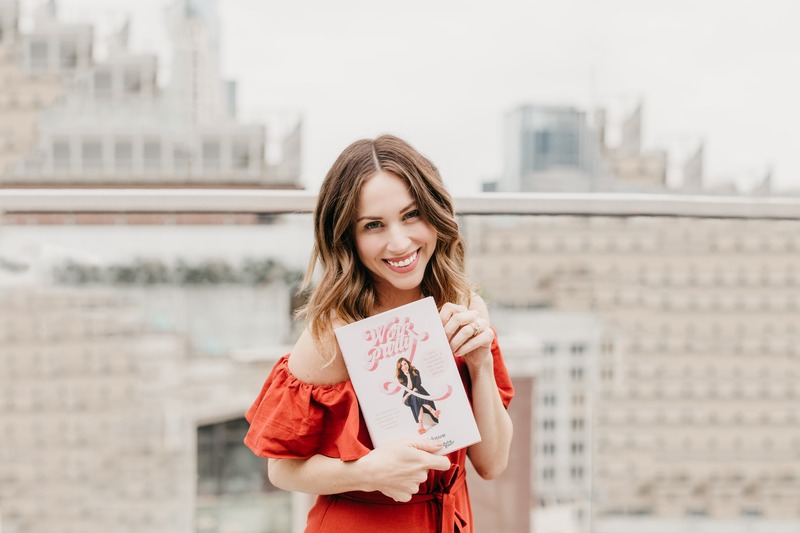 In our latest chat, she spills some of her top tips on how to slay in business and cultivate the career of your dreams straight from her new book, WorkParty. For the women who want to start their own businesses but don’t know how or where to start, what would you say are the first initial steps they need to take? JACLYN JOHNSON: Create a three-month, six-month and one-year plan. It does not need to be a business plan, but more a personal goals plan. Money you want to make, clients you want to win, and meetings you would love to have. Intention is key to manifesting the business you want. Also, be prepared to iterate and change. As a small business, you have the benefit of being nimble and that is a real advantage. You featured many fellow female entrepreneurs in the book. How important is it to surround yourself with other women and what impact do you feel they’ve made in your own business? JJ: I am fortunate in that my whole career is about lifting the voices and highlighting the work of incredible women. Each and every woman I have met along the way in my career journey has impacted me. From sending an intro email to liking an instagram photo, you cannot underestimate the power of women supporting women in big and small ways. The more we build each other, the more we will find we are better and more powerful together. JJ: I am definitely a mantra girl. If you aren’t your own hype woman about the work you are doing there is no reason for anyone else to get on board with your vision. You have to be excited and passionate and dedicated to the work and that means sometimes letting yourself know that. I will say “you got this” before I head into meetings or memorize key stats or things I want to ensure I get across to the room. Having confidence is also a biggie when it comes to entrepreneurship. What’s your advice for cultivating that confidence especially when you’re just starting out as an entrepreneur? JJ: Confidence begets confidence. You have to lead with this, always, even if you are the most insecure person in the world. It doesn’t matter. Know your stuff, do your research, and show up prepared to win. Preparation is powerful. You also write a lot about money in the book. What’s your advice for women who want to improve their relationship with money and earn what they deserve? JJ: Money is power and women need to be more powerful in their households, in their community, and in their career and that is really the goal of WorkParty—to empower a new generation who knows their worth and demand it. If you had to share just one top tip for women who want to create the career of their dreams, what would it be? JJ: Know that resiliency will be required. Speaking as someone who has their dream career, it can be a rough ride filled with ups and downs. You have to know that it ebbs and flows and being able to rise from the ashes over and over again will become your greatest strength.